As the Colorado General Assembly moves through the 2017 legislative session, so many of you have reached out to me to express your feelings following the 2016 election, and where our country currently stands. Many are happy with the outcome of the election, while many are feeling real anxiety. Out here on the Western Slope and the upper Arkansas Valley, we know that our communities are anything but one-dimensional, and that extends to our politics as well. The waves of partisanship that drown progress at the State Capitol in Denver on serious issues such as the rising cost of health care, or preparing our workers for changes in energy jobs or automation, do not reach into the high country, and that’s what gives me so much hope for the years of work ahead. Hearing your thoughts on the future of our nation and our path forward has been inspiring, and has encouraged me, as I represent you in our state government. We are the ranchers and farmers, teachers, small business owners, health care workers, miners, artists, service workers, athletes, parents and sportsmen that make Colorado the strong and forward-moving state that it is today. No Coloradan’s freedom to live the life they choose should be denied because of a lack of access to broadband, a diversion of the water, or ever-rising medical costs that are bankrupting too many of our families. My mission is unchanged — to represent every person and every community in the seven counties of Senate District 5. I am working to ensure that our Colorado way of life is protected, and that the things we hold most valuable — the opportunity to get a good paying job, and the chance to show our children the majesty of our great state’s public lands — are never sacrificed by the wishes of D.C.-style politicians or any corporate entity seeking to take advantage of the wellbeing of our people. We must continue to move forward, and not allow ourselves to fall behind. That’s why I will continue to represent you the same way I always have: by coming up with solutions to issues impacting our towns, and holding government accountable to you. To this point, I am so excited to have been appointed as the newest member of the State Audit Committee, which is focused on making sure your tax dollars are being spent wisely, efficiently, and for the common good. Your involvement is the key to me being able to represent you to the best of my ability. I would appreciate you sharing your energy and enthusiasm for an issue you care about with me, or share how you and your family will be impacted. While you and I both know how consumed politics is by inaction and negativity, I promise to always be open to you, and a strong positive representative for you, no matter your background, political affiliation or employment. While we may not always agree, the hard work of finding common ground is a noble one, and I believe that if we all share the American Creed that our nation is, “established upon those principles of freedom, equality and humanity for which American patriots sacrificed their lives and fortune,” then there is nothing standing in our way on the path to a more perfect union. 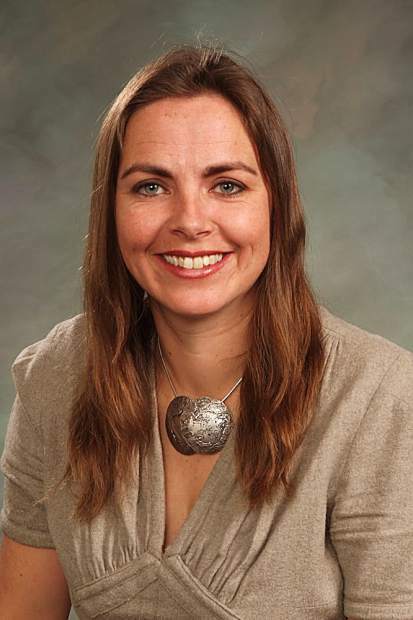 Kerry Donovan, of Vail, is the state senator of Senate District 5, which represents Chaffee, Delta, Eagle, Gunnison, Hinsdale, Lake and Pitkin counties.